Have a new way to play "tug football" with your pet with this officially licensed collegiate field pull toy! 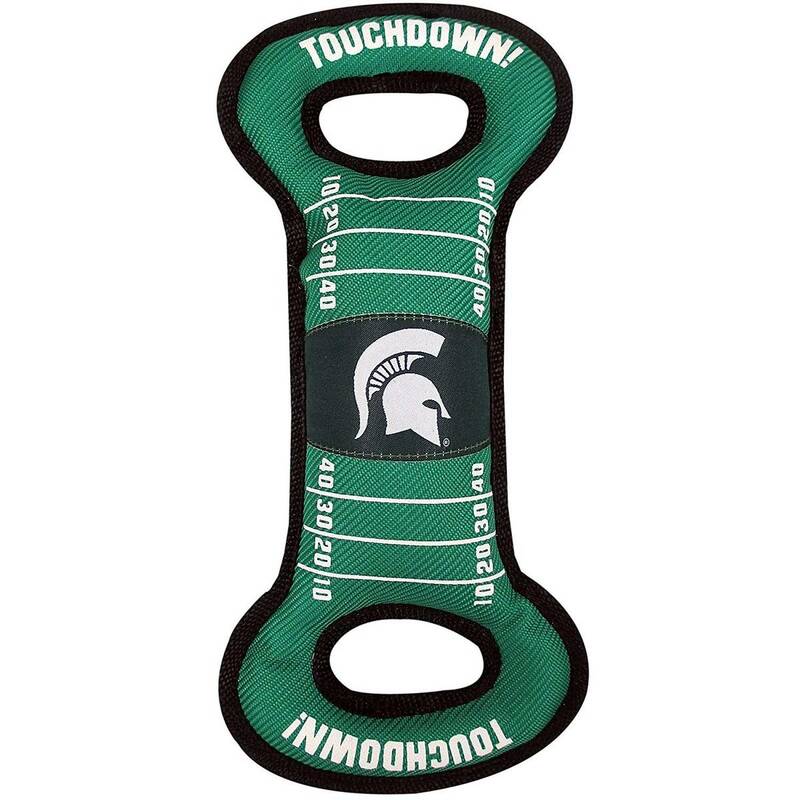 Made of tough nylon, this toy is shaped like a football field with handles on either side and the team logo of the Michigan State Spartans woven over center field. Features a squeaker for added fun!